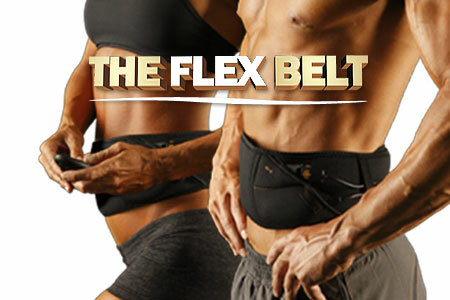 Home Topics Health & Weight Loss How does Flex Belt Work? How does Flex Belt Work? Abdomen is one of the most difficult area to lose weight, improve strength and tone. Ab belts have been around for decades and used to treat patients with chronic pain and arthritis. They claim to help improve your body’s ability to burn ab fat and get a tighter and stronger core. With the rise of its popularity, a wide variety of these belts started stacking up in market. They all make tall claims and most of them fail miserably. Hence it is very difficult for a beginner to find the right product that works efficiently and safely. Don’t fret, we are here to help! Flex Belt is one of the only ab belts that has been approved by the FDA to tone, firm and strengthen abdominal muscles and has been clinically proven for its efficiency. The flex belt makers have more than 40 years of expertise in designing, manufacturing and successfully marketing a variety of Electrical Muscle Stimulation (EMS) devices. It is being effectively prescribed and used for medical and consumer purpose and boasts of more than 2 million worldwide. Made from neoprene material, it sends electrical impulses in the abdomen helping in contracting it effectively, without causing any discomfort. It aims at all your major ab muscles including upper abs, lower abs and the obliques, all at the same time for a complete workout in just 30 minutes. What are EMS devices? How does it work? EMS devices are based on the technology that sends electrical impulses that stimulates your motor nerves of abdominal muscles. Similar to the effect of exercising or abdominal crunches, it caused the contraction and relaxation of ab muscles. This recurring action improves muscle movement, resulting in firmer and toned abs without while doing your household chores or at doing groceries. The flex belt features three effectively placed gel pads over your abdomen and obliques, It has varying levels of intensity for the level of contractions as per your individual preference. If nothing else, you can surely get good back support from the belt. Or if you are a pro, you could choose higher intensity settings for firmer abs. According to a research led by Dr. John P. Porcari in 2008, 100% of the participants showed positive results with toned and firmer abs after a trial period of 6 weeks, five times a week for 30 minutes sessions everyday. An earlier research also led by Dr. John in 2005 and published in Journal, of Sports science and medicine, the group mounted the belt for 8 weeks, 5 times every week for about 20-40 minutes sessions. They showed improved abdominal strength and endurance. Plus they experiences waist reduction and improved posture. 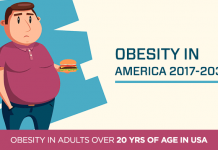 The fact that the Flex Belt has been approved by the FDA to be sold as a medical device directly to the end user speaks a lot about the effectiveness and safety of the belt. It has been endorsed by celebrities like Denise Richards and Adrianne Curry and for a good reason. Easy to use, safe and effective way to improve abdominal strength and endurance. 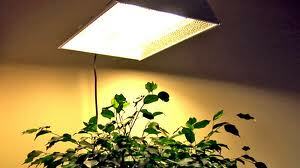 The user manual and pre-programmed intensity levels make it easy to choose as per individual requirements. Improved posture and back support. Comfortable enough to be worn while doing household chores, exercise or other domestic work. Easily targets those hard to reach abdominal and oblique muscles simultaneously. Provides support and relief in back and neck strains that you can get while exercising without wearing one. Superior quality, medical-grade EMS gel pads provide safety. Works great on a wide range of people from new mothers to fitness enthusiasts. Equipped with 2-year replacement warranty along with 60-day money back guarantee. Similar to any exercise, it can sometimes cause sore muscles when you start out. Repeated and extended use of the belt can cause the gel pads to slowly lose their sticking capability and would need replacement over the period of time. Can be expensive for some people. While it tones most abdomen muscles simultaneously, it does not have the same impact as exercising which can even tone your secondary muscles. Measure your wait when you first start wearing the Flex belt. Keep a track of your success as you increase the intensity level and reap the benefits. Within 4-6 weeks you will definitely see the difference in your strength levels, ab tightness, relief in back and neck pain and weight reduction over the period of time. Anything Ugly? Is it safe? This belt is not meant for losing weight or inches. It should be seen as a tool to improve muscle endurance and toning. people who do not have the time to spend in the gym sweating away. individuals with injuries or joint conditions, who cannot really do the core exercises and strain their back any further. Individuals suffering from heart conditions or have had an electronic implant. Individuals suffering from cancer, epilepsy or are under medical supervision for cognitive dysfunction. Individual connected to high-frequency surgical equipment. While there is no magic bullet to improve health or get overnight results, the Flex belt is a great fitness tool that actually delivers what it claims. You can improve your accelerate your health and fitness journey, when you eat and exercise well along with using Flex Belt.